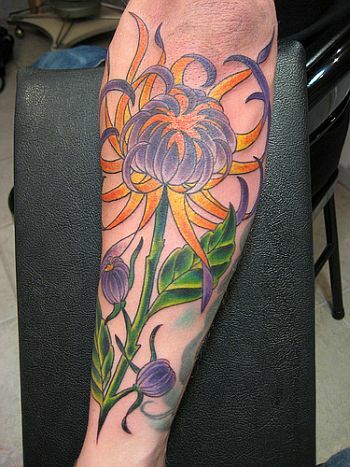 Must say, it is a sweet beginning to the day with the advent of this flower tattoo. Expressive for sure, the maker doesnât exactly know which flower it is, but it does reveal his connectivity with nature. I like the colours too.